We’ve been told a CAB meeting was held and the cell tower was approved. The next CAB meeting is this Thursday, Oct 13. See you there? The application is here: county website or PDF. 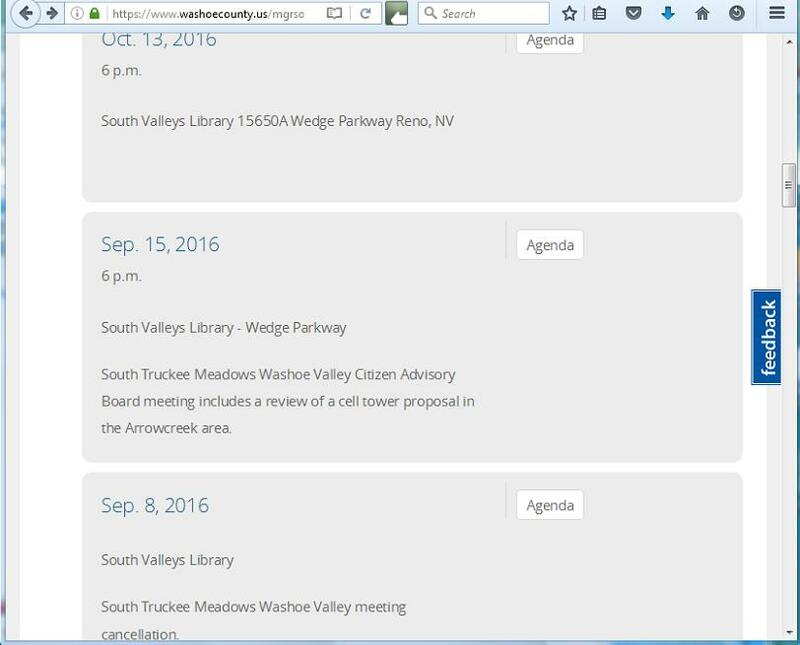 This entry was posted in Cell Tower, South Truckee Meadows / Washoe Valley Citizen’s Advisory Board, STMWVCAB and tagged ArrowCreek Cell Tower, CAB Meeting, CAB Meeting Cancelled, Cell Tower Water Tower. Bookmark the permalink.